Renewable energy water heater includes two parts: cooling equipment and heating equipment. The internal structure is mainly composed of four core components: a compressor, condenser, expansion valve and evaporator. It is widely used in daily life to provide hot water. Renewable energy water heater is classified into two types: solar collector and water heat pump. After low-pressure refrigerant is compressed by compressor, it will become high-temperature and high-pressure gas to emit. The high-temperature and high-pressure gas will flow through copper tube around the outside of tank, then the heat will be conducted to tank through copper tube. Then, cooling refrigerant will turn into liquid under the continuous pressure. Then the liquid will flow into evaporator through expansion valve. The liquid will turn into gas and absorb huge amount of heat because of sudden reduction in evaporator’s pressure. At the same time, a lot of air flows through evaporator’s surface, thus energy of air will be absorbed by evaporator. Therefore, air temperature will suddenly drop and it becomes cool air to be emitted into kitchen. Next, Renewable energy water heater will enter into next circulation when refrigerant is compressed into compressor by absorbing enough. Our renewable energy water heater exhibits zero release as it just transfers air heat into water, thus there is no harm to surroundings. It is a new lifestyle to save energy and reduce carbon. Our water heater can greatly reduce electricity consumption by application of Inverse Cano Principle to transfer air heat to water. 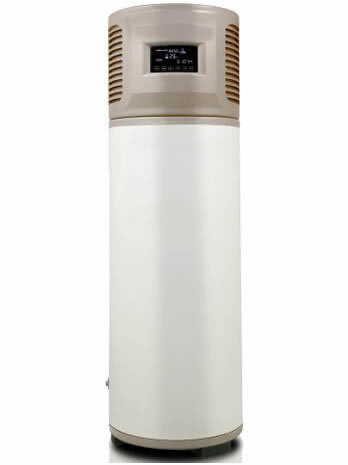 The renewable energy water heater adopts imported polyurethane foam materials to keep water warm for a long time. Tank shell is made of high-quality stainless steel, zinc plate, thus the tank is endurable and resistant to corrosion. The interior surface for tank adopts imported stainless steel and its thickness is around 05.-0.6mm. Therefore, the interior surface exhibits excellent strength. Thus, the tank is endurable, seamless and anticorrosive. You can benefit a lot from water heat pump. You can get hot water whenever you need and there is no pollution to environment. The bracket can withstand strong wind as it adopts superior stainless steel, galvanized sheet and triangular structure. Thus, bracket is endurable, stable and with high strength. 1. When you take a shower, you shouldn’t spray water to electrical appliance. Operating electrical appliance is forbidden when your hands are wet. Please cut off heating system and anti-freezing part. It is forbidden to regard leakage protection plug as switch. 2. It is forbidden to use renewable energy water heater when there is thunder, strong wind and heavy rain. 3. When the room temperature is below 0℃, please run water off and keep water valve open to protect pipes and copper fittings from freezing. Meanwhile, please ensure anti-freezing part have electricity. When the temperature is above 0℃, please cut off power supply to avoid fire. Please remember to check whether there is electricity or not before using anti-freezing part. 4. Temperature of heating system will increase 3-5 ℃ by hour (full water). 5. Please ensure there is nothing to block vent of tank. It is forbidden to install any device to avoid poor drainage and damage to tank. 6. Please turn control valve between hot water and cold water to hot water or cold water when you don’t use it. 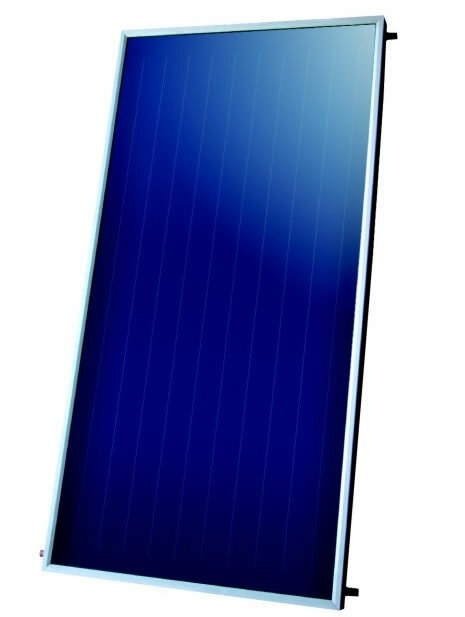 Package: we use foam inside and five-layer paper box outside to protect renewable energy water heater. It has passed the drop test.